Pine Ridge Coupe appraised at 87.4% by Kenny Van Der Merwe Senior SA Studbook appraiser. 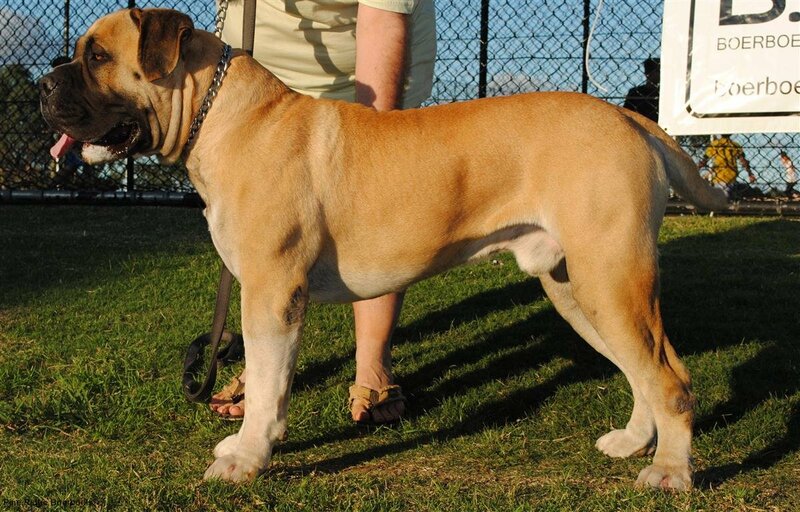 Pine Ridge Coupe was awarded Best Dog in NSW. At the BOCA/SA Studbook appraisal April 2016. This boy was still a pup at 17mths old when he was appraised. Pine Ridge Coupe has a very confident, stable temperament with outstanding construction.